Approximate age range: 6 months – 3 and a half years. With so many child carriers on the market today there really is something to suit every taste and budget. As we tend to spend a lot of our family time in the great outdoors a carrier that would suit our adventurous activities was a must. 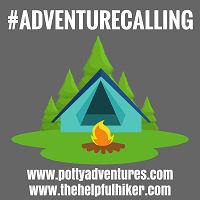 Eventually we narrowed our choice down to the Osprey Poco AG Plus and the Deuter Kid Comfort 3. Both packs were far more geared towards trail walks and hiking than most other packs that are available and both had received a plethora of good reviews and were very similarly priced. In the end we plumped for the Osprey simply because we had owned a few of their technical hiking and climbing packs over the years and they had never let us down. As a result, our expectations of the Osprey Poco AG Plus were extremely high. Firstly, we were impressed by the weight capacity range that the Poco offered. As soon as your baby can sit up and hold the weight of their own head they will be able to travel in the carrier. For us this meant it was more than suitable for 7 month old Amelie. At the other end of the scale, having a maximum weight capacity of 22kg means Jesse should still be getting rides in it well past his third birthday. 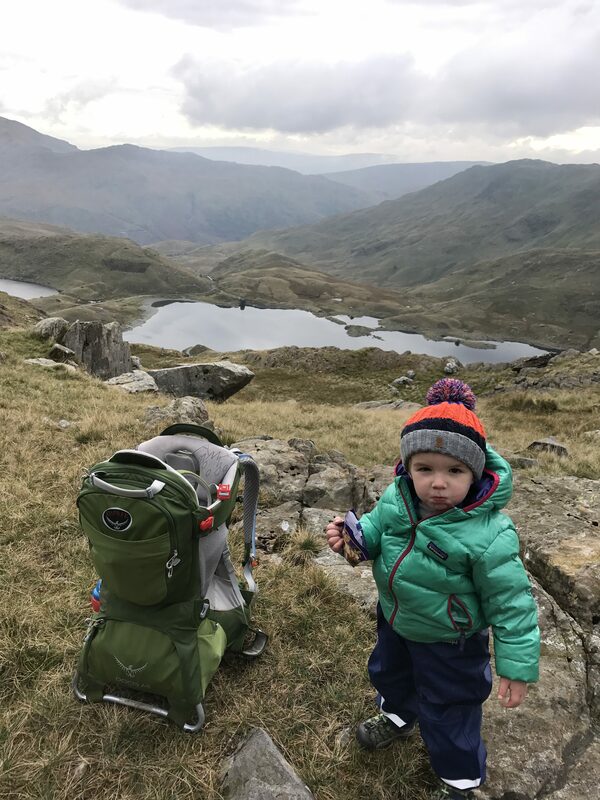 It is important to note however, that these are total weight capacity values meaning any equipment, food, nappies and spare clothes that you pack must still keep it below the overall threshold. The Poco is an extremely comfortable pack for a number of reasons. Having owned a few Osprey packs previously this was something that we have always come to expect from the brand and happily we weren’t disappointed here. For parents, the suspended mesh back system keeps the pack suspended slightly away from your back allowing good levels of ventilation which is important in warmer weather and on longer walks. It also means that your boney back isn’t subjected to punishment should you have packed solid lunch boxes in the rear of the storage areas. Another impressive feature is the adjustable torso length meaning that with a very quick (literally seconds) adjustment you can tailor the pack to suit both short parents and tall parents. For us, this means that with no fuss whatsoever we are able to take it in turns to carry the kids when we’re out and about, simply adjusting the torso length each time to make it comfortable for whichever of us is wearing it at the time. 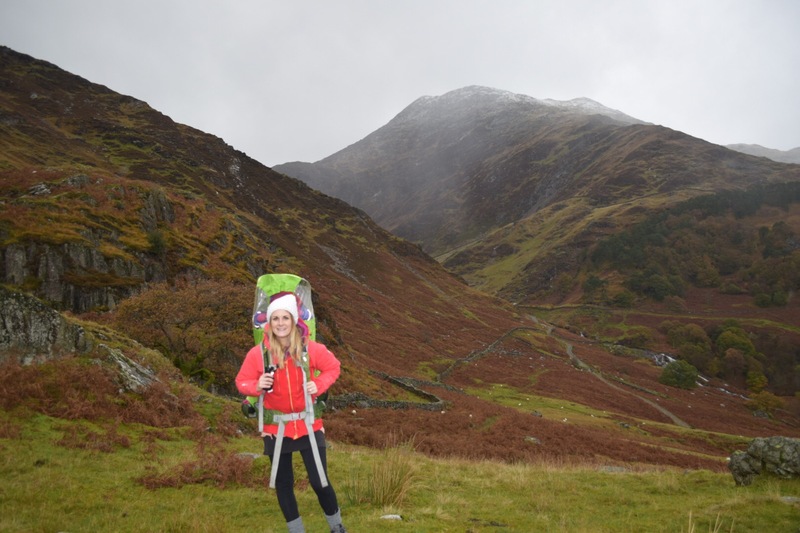 This results in a much wider range of people carrying the pack in comfort for longer periods of time as you are able to correctly position the pack and weight according to your height. For kids, the safety harness has good levels of adjustability and padding to keep a wide age range of critters happy. Having a secure harness that you have confidence in also makes it much easier should you go out as a lone parent with your child as it makes putting the carrier on and swinging it off much easier knowing they cannot come out. 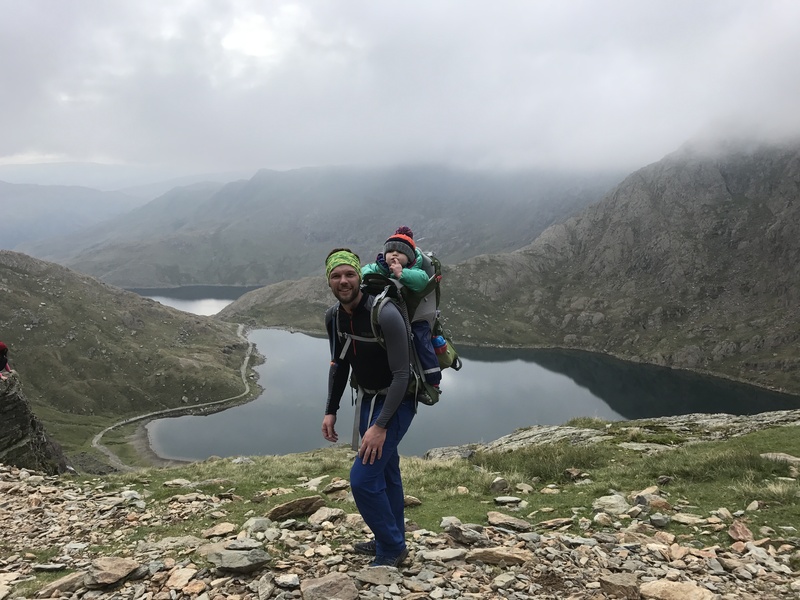 Furthermore, you are able to take on more challenging trails because the harness keeps the torso movement of your child to a minimum, helping you to maintain a more stable stride. The child seat also has good vertical adjustment so young babies and older toddlers alike can all maintain a good ‘head out’ position and take in the beauty of their surroundings without sinking down into the pits of the carrier. One of the best features for older toddlers is the addition of adjustable foot stirrups which not only further support your child, but also help to keep footwear (particularly wellies) in place during fast and bumpy descents. For younger babies the removable and washable drool pad is well cushioned and there are internal ‘cockpit’ clips to attach a dummy or a few toys should they be less interested in their surroundings. Having a pack that is more geared towards the great outdoors means being able to take it out in any weather. Fortunately, for those rare British summers there is an SPF50 rated sunshade that can be deployed in a matter of seconds that provides very good protection for your child’s head and upper body, while for those more frequent rainy days the included raincover provides excellent coverage from the elements. On a recent hike we got caught in a sideways hailstorm and some strong winds and Jesse remained dry and comfortable throughout. The storage on the Poco Plus is very good and more than meets the requirements for the vast majority of day hikes and walks. The main storage compartment is located under the cockpit and is very generously sized meaning there is lots of room for spares layers, clothes, cuddly toys and cameras etc. This is also the only pocket not covered by the raincover meaning you have easy access to your own gear in the event of a quick downpour. There is further storage in the form of a small zipped backpack located on the rear of the carrier as well as zipped belt pockets and mesh side pockets. Finally, there is a hydration sleeve allowing you to carry a handy drinks reservoir. The Poco Plus is a great carrier. It is so comfortable for such a big pack and distributes the weight of the kids brilliantly. The amount of adjustability seems bamboozling at first but each one is so simple to master that it is easy to quickly swap the carrier between different sized parents and be on your way again in a couple of minutes. You really are able to personalise it to your body height and shape. We’ve also tested it in all manner of weather and it has never let us down. The kids love it and so do we. Great post! Thank you for all the pictures and cmments! !